Italy earned 152 awards at the 2018 NYIOOC. Here are the very first impressions of some of the award-winning producers. 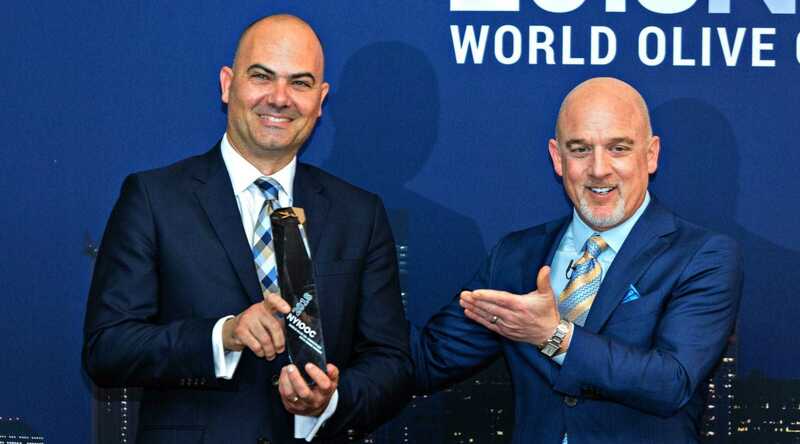 With an absolutely outstanding performance once again, Italy reaffirmed at the New York International Olive Oil Competition its leading role in the production of excellence. Italian extra virgin olive oils succeeded at the world’s largest and most prestigious olive oil contest gaining the highest number of awards, with 152 producers rewarded for their remarkable work. This result, along with the very large collection of entries submitted from Italy, which amounted to a record-breaking 253, is even more impressive if we consider the challenges olive growers had to face during a not-so-easy easy season. The commitment of producers devoted to high-quality was extolled by the NYIOOC president Curtis Cord last night during a stirring speech which preceded the award celebration. In a room packed with industry professionals, journalists, producers, chefs and lovers of extra virgin olive oil, Cord underlined not only the concrete dedication but also the sense of responsibility towards children, families and communities which finds expression in the admirable work of producers. Some of them gave Olive Oil Times their first impression of this major Italian success. “We are so excited for this significant recognition,” said Francesco Le Donne right after the prize announcement. His Colline Pontine PDO organic monovarietal of Itrana Villa Pontina was awarded a Best in Class which crowned a successful story of quality started three years ago. “Our olive groves have benefited from a climatically favorable season and still we did our best to reach the highest standards,” he pointed out with deep satisfaction. “This great news made us all very happy,” echoed Filippo Alampi of Fattoria Ramerino. “Watching the live stream of the NYIOOC press conference has become an enjoyable tradition, a standing appointment that gave us great satisfaction over the years,” remarked the Tuscan producer of the Best in Class winner Guadagnolo Primus, a medium fruity blend with aromas of grass and artichoke on his third successful participation in a row at the NYIOOC.